The Toyota Tundra has been praised by many as one of the best-looking full-size pickups on the market today. Of course, all of the 2018 Toyota Tundra’s trims have the same muscular good looks. However, there are differences in the exterior features of the different trim levels. For example, the SR5 has the traditional halogen headlights while the Limited and Platinum trims have efficient and powerful LED headlights and fog lights. Also, deck rails (which create additional exterior storage) are optional on the SR5 trim and standard on the Limited and Platinum trims. The high-end Toyota Tundra Platinum trim even has optional moonroof to let in natural light while still keeping your privacy. If you want to find the perfect truck that fits your budget, check out the stylish 2018 Toyota Tundra in all its different trims today. You can choose from one with just its standard features or customize your 2018 Tundra to make it your own. Either way, you can test drive yours now at Toyota of Tampa Bay today. All of the trims on the Toyota Tundra have durable and practical interiors that can stand up to practically anything. The interior of the 2018 Tundra is also well-equipped, even on the highly affordable SR5 trim. The new 2018 SR5 comes with air conditioning that includes a pollen filter to help you and your passengers avoid allergic reactions. The Limited and Platinum trims boast dual-zone automatic climate control to keep all occupants remain comfortable the entire time they’re in the truck. The SR5 does have an advantage over the other trims in one area. It seats 6 occupants as standard. Both the Limited and Platinum trims offer seating for 5 occupants. All of the 2018 Toyota Tundra trim levels offer split-folding rear seats. These seats allow you to create additional interior cargo space in a few seconds. If you have more than one passengers, simply flip the seats down. Experience the interior style of the new 2018 Toyota Tundra today. 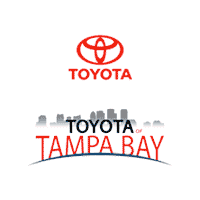 Drop by Toyota of Tampa Bay for a test drive. As a full-size pickup truck, the 2018 Toyota Tundra could simply rely on its size to provide adequate occupant protection. As you might expect, it does get excellent crash test ratings all around. Toyota didn’t stop there, however. They engineered not one but two comprehensive packages of safety aids. Both of these packages are standard across the full range of trims. The Toyota Safety Sense™ package includes Pre-Collision System with Pedestrian Detection, Lane Departure Alert with Sway Warning System, Automatic High Beams, Rear Cross Traffic Alert and Dynamic Radar Cruise Control. The standard Star Safety System™ includes Vehicle Stability Control, Traction Control, Anti-lock Brake System with Electronic Brake-force Distribution, Brake Assist and Smart Stop Technology®. The front and rear parking assist sonar sensors are optional for all the trims of the 2018 Toyota Tundra. If you’re looking for a full-size pickup truck with excellent safety ratings, check out the Toyota Tundra. Test drive yours today at our preferred Tampa Bay dealer, Toyota of Tampa Bay! Where you can find the perfect car, truck or SUV at a great price! The 2018 Toyota Tundra has breathtaking performance at all trim level. The new Tundra SR5 trim features a standard 4.6L V8 making a muscular 310 horsepower. The Limited and Platinum trims boast a 5.7L V8 kicking out 381 horsepower. Both of these impressive engines are paired with a 6-speed automatic transmission changes gear quickly and smoothly. Rear-wheel drive is standard for all 2018 Toyota Tundra trims. Toyota’s advanced all-wheel drive technology is optional for all trim levels. Take the versatile 2018 Toyota Tundra out for a spin today. Come into Toyota of Tampa Bay today. Full-size pickup trucks are not known for their tech features. The 2018 Toyota Tundra may go a long way to changing this stereotype. Toyota’s powerful Entune™ infotainment system is standard for all variants of the Toyota Tundra. A 7-inch high-resolution touchscreen is also standard for all 2018 Tundra models. This high-tech screen makes controlling the infotainment system a breeze. The SR5 has optional GPS navigation. Navigation is standard on Limited and Premium to ensure that you always get where you need to go. If you’re in Wesley Chapel, Brandon or elsewhere in the Tampa area, try out the tech in the new 2018 Toyota Tundra at Toyota of Tampa Bay Dealership today! Super White 2019 Toyota Tundra SR RWD 6-Speed Automatic Electronic with Overdrive 4.6L V8 DOHC Dual VVT-i 32V Graph Fabric. Recent Arrival! Gray 2019 Toyota Tundra SR5 4.6L V8 RWD 6-Speed Automatic Electronic with Overdrive 4.6L V8 DOHC Dual VVT-i 32V Graph Fabric. Super White 2019 Toyota Tundra SR5 RWD 6-Speed Automatic Electronic with Overdrive i-Force 5.7L V8 DOHC 32V LEV Blk Fabric. Black 2019 Toyota Tundra SR5 4.6L V8 RWD 6-Speed Automatic Electronic with Overdrive 4.6L V8 DOHC Dual VVT-i 32V Blk Fabric. Black 2019 Toyota Tundra SR5 RWD 6-Speed Automatic Electronic with Overdrive i-Force 5.7L V8 DOHC 32V LEV Graph Fabric. Gray 2019 Toyota Tundra SR5 CrewMax 4WD 6-Speed Automatic Electronic i-Force 5.7L V8 Flex Fuel DOHC 32V LEV 4WD, Graph Fabric. Gray 2019 Toyota Tundra Limited RWD 6-Speed Automatic Electronic with Overdrive i-Force 5.7L V8 DOHC 32V LEV Graph Lth. Recent Arrival! Super White 2019 Toyota Tundra SR5 CrewMax 4WD 6-Speed Automatic Electronic i-Force 5.7L V8 Flex Fuel DOHC 32V LEV 4WD, Graph Fabric. Super White 2019 Toyota Tundra SR5 CrewMax 4WD 6-Speed Automatic Electronic i-Force 5.7L V8 Flex Fuel DOHC 32V LEV 4WD, Blk Fabric. Silver Sky Metallic 2019 Toyota Tundra SR5 CrewMax 4WD 6-Speed Automatic Electronic i-Force 5.7L V8 Flex Fuel DOHC 32V LEV 4WD, Graph Fabric W/Trd Spt. Silver Sky Metallic 2019 Toyota Tundra Limited RWD 6-Speed Automatic Electronic with Overdrive i-Force 5.7L V8 DOHC 32V LEV Blk Lth.